As Southerners, we are all very much cold-natured. We freeze when the temps drop below 75°. No, I am not kidding. 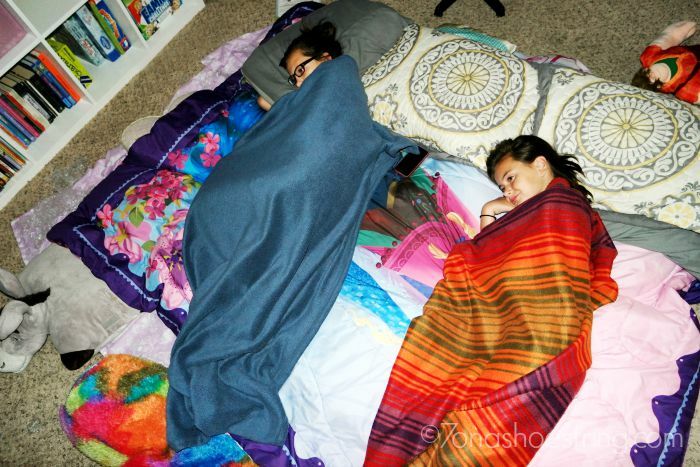 Therefore, when the weather starts to turn cooler, we find ways to entertain ourselves indoors! 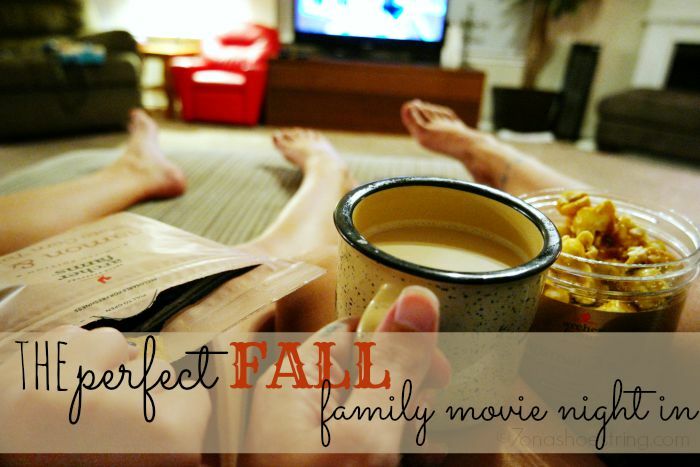 A family movie night in is one of our favorite fall activities. This part can be tricky. In a family our size, there is always one person who doesn’t like the movie choice. We take turns picking the movie, and, if we come to a standstill, we throw a few titles into a hat and let the youngest draw. Plus, we mix up the selections with everything from classics to musicals to new releases. As I mentioned above, it’s fun to have a theme. Choose a movie and base your ideas around it. Or, as we did above, work backwards and choose the food first. You can go as far as wearing costumes or creating themed food and crafts as you watch. Go as simple or complex as you and your family want! Switch it up and just have fun! Since we are planning a movie night due to cooler temperatures, think about warming your insides while you watch. 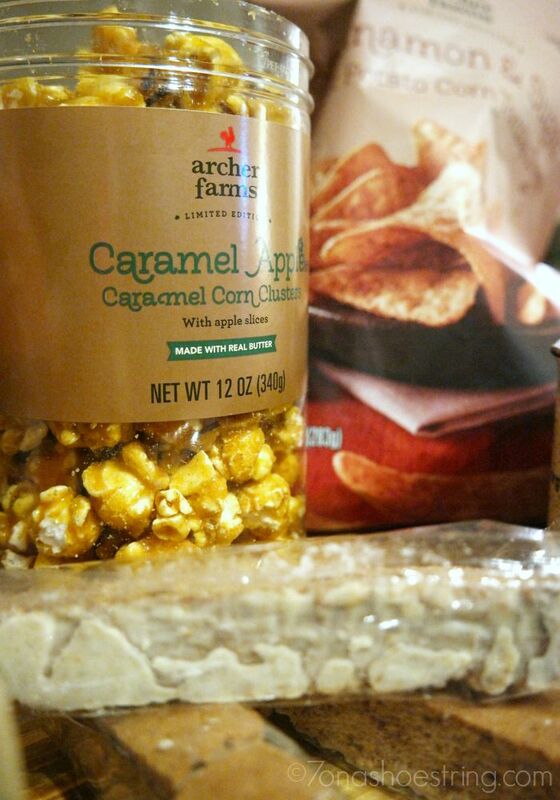 Archer Farms caramel macchiato K-cups were exactly what I wanted as I cuddled up to watch the movie. Colby and I both had a cup while the girls sipped on hot chocolate. 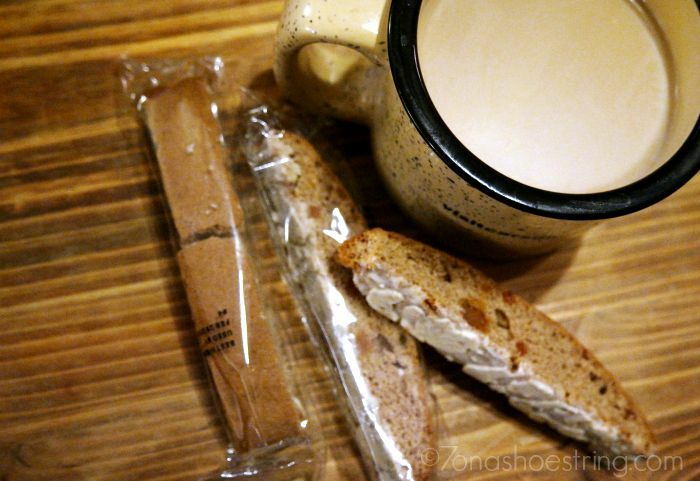 Pairing the coffee with Archer Farms caramel apple biscotti created a wonderful burst of fall flavors ideal for cool nights. 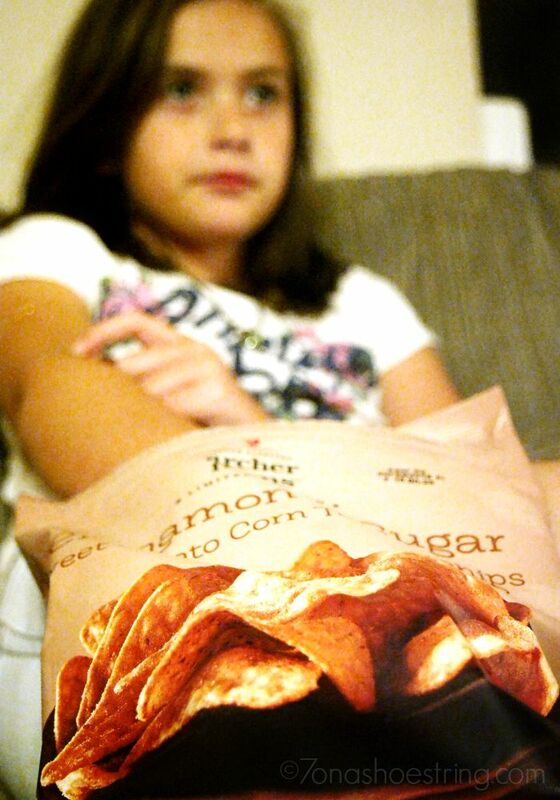 Bags of both Archer Farms cinnamon sugar sweet potato and pumpkin tortilla chips were shared across our makeshift theater. The kids could not get enough of these! Next time we know to buy at least two bags of each. 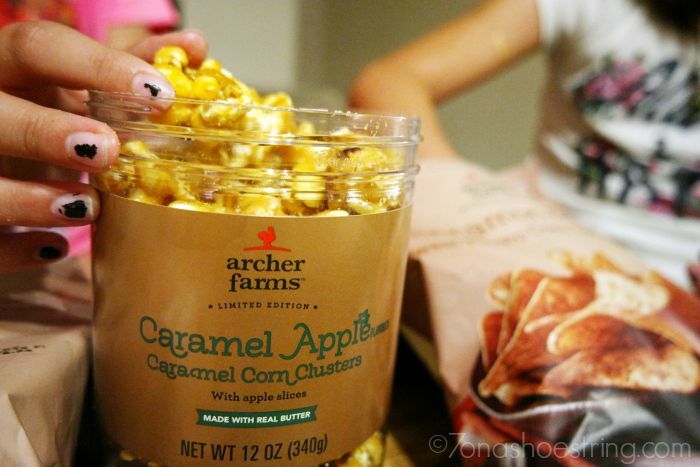 Luckily, we had the Archer Farms apple cider popcorn to fall back on once the chips were gone! 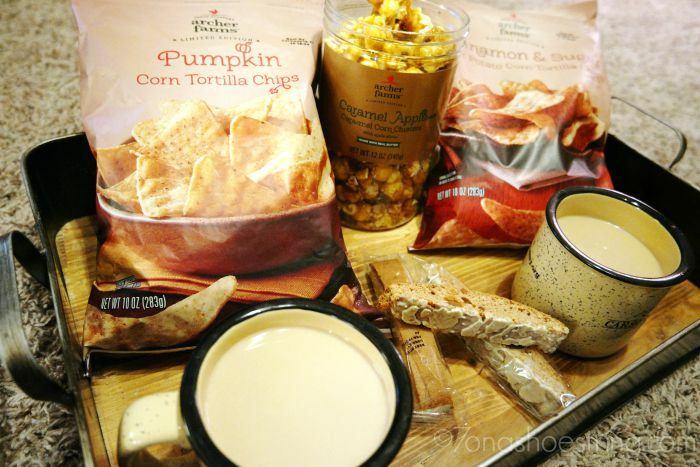 So, take note: Buy extra chips! Depending on the movie, a quick Internet search can bring up a variety of movie-themed crafts. These are especially helpful for keeping our youngest busy while she watches the movie. These crafts and activities can be a great way to teach values found in the movies or to simply keep small hands busy while you try to keep an eye on the movie. After the movie, depending on who is still awake, we talk about the movie. Even if it was one we have watched before, there always seems to be something new that we noticed. Watching different genres and story lines is a terrific way to open up conversation with the kids… so we do. Our movie nights are an excellent way to get in quality family time and to learn to simply appreciate each other’s company.